The international architectural competition for Jyväskylä’s Ruusupuisto area run by the Alvar Aalto Foundation and the City of Jyväskylä attracted 674 entries by its final deadline. This is the second-highest number of entries ever for an architectural competition held in Finland – a close second to the Guggenheim Helsinki competition. The Ruusupuisto competition is for the design of an extension connecting the Alvar Aalto Museum and the Museum of Central Finland, and for the surrounding outdoor area. The extension is intended to serve as a connecting gateway, a shared museum shop, and a technical space that will allow a wide range of functions and collaborations. 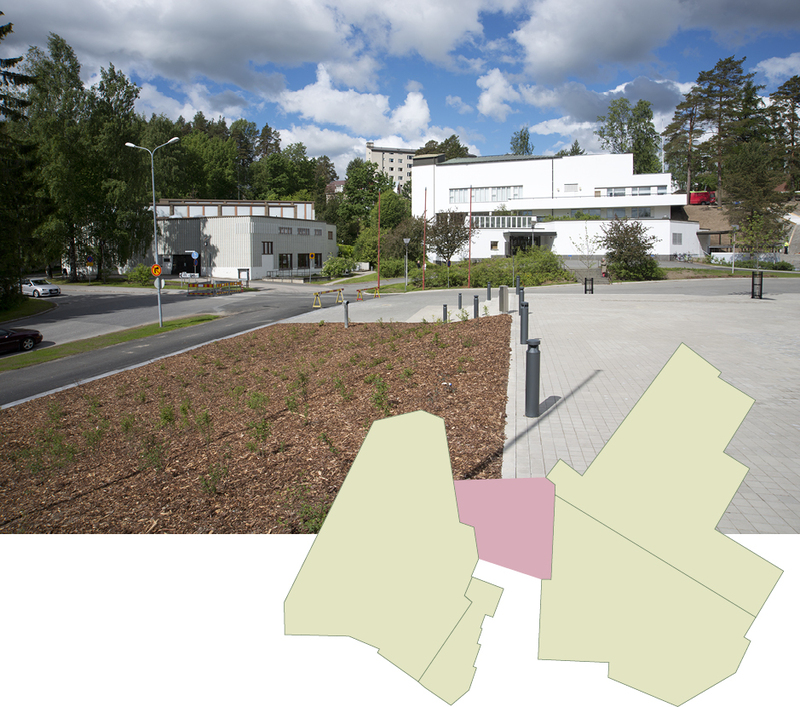 The aim is to develop these two key Aalto works to form an attractive, high-quality museum centre for Jyväskylä. The public design competition for an extension for the Alvar Aalto Museum and the Museum of Central Finland. Photo: Alvar Aalto Museum. “Using an international ideas competition to develop the valuable Ruusupuisto environment is a major step in the history of modern architecture. The fact that the new architecture is being created to fit in with museums designed by the Academician Alvar Aalto fans the flame of interest even higher. It is also worth noting that this quite small extension will crucially affect the functioning of the entire future museum centre,” says Director of the Alvar Aalto Foundation Tommi Lindh. In its criteria the competition jury stresses the need for an integrated architectural approach and the technical and economic feasibility of the design. It is particularly important that the winning entry should suit this nationally important cultural environment, and that it should find a way of creating a seamless link with Alvar Aalto’s architecture. “It will be exciting to see how the competition entrants have fulfilled the functional requirements for the new section and met the architectural challenges, and what they have done to the immediate surrounding area,” says Director of the Museum of Central Finland Heli-Maija Voutilainen. “All in all it is quite unbelievably fantastic that the competition has attracted such remarkable and widespread popularity around the world, thus adding to Jyväskylä’s existing reputation as a city of fine architecture. The competition is very important and has far-reaching implications for the city, because the outcome of the competition and the combining of the museums are intended to create a more multifaceted Ruusupuisto museum centre with greater potential scope,” says Chair of the Jury and City of Jyväskylä Real Estate Planning Manager Ulla Rannanheimo. The members of the jury are: Esko Eriksson (Real Estate Director, City of Jyväskylä, Real Estates), Ari Karimäki (Service Director, Culture and Sports), Tommi Lindh (Director, Alvar Aalto Foundation, Architect SAFA), Ulla Rannanheimo (Real Estate Planning Manager, City of Jyväskylä, Real Estates, Chair of the Jury), Leena Rossi (Head of Urban Planning, Architect SAFA, Urban Planning and City Infrastructure), Leila Strömberg (City Architect, Architect SAFA, Urban Planning and City Infrastructure) and Heli-Maija Voutilainen (Director, Museum of Central Finland). The Finnish Association of Architects (SAFA) has appointed Asmo Jaaksi (Architect SAFA) and Anu Puustinen (Architect SAFA) to the jury. The competition winners will be announced on Finland’s Architecture Day and Alvar Aalto’s birthday, 3 February 2016.